Join us for the first Night Market of 2019! 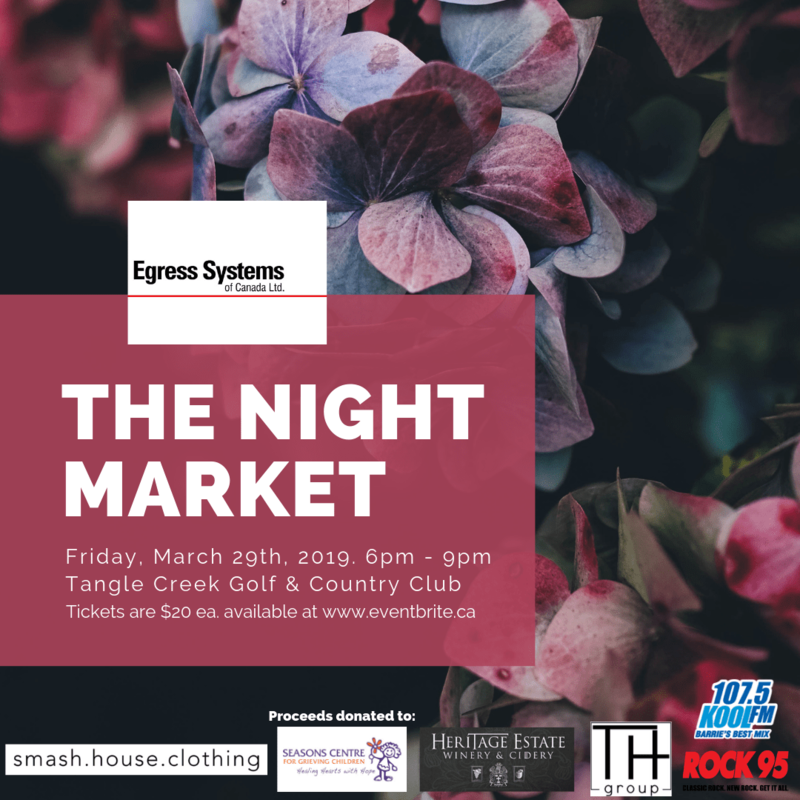 Friday, March 29th 6pm – 9pm at Tangle Creek. Tickets are $20 ea. with all ticket sales donated to Seasons Centre for Grieving Children. One complimentary glass of champagne and light appetizers are included in the price of the ticket. The Night Market has proven to be a fun evening of entertainment, socializing with friends, and shopping over 30 local and unique vendors. Support Local and Shop Local with us at the Night Market!